A lot of times when working in a team, you would write a class, or add an enumeration to an existing class or add a new property. Some times, you might need to tell other programmers who work on the same code-base that a property, enumeration or a method that you wrote is now becoming deprecated and perhaps a new version of the API introduces a new property/enumeration/method that programmers need to use instead. This is where LLVM can be very useful. Obviously, if you are the only programmer in a project and not developing an API for others, this might not be of much use to you. But if you are used to working in a team, knowing this trick is an absolute necessity. 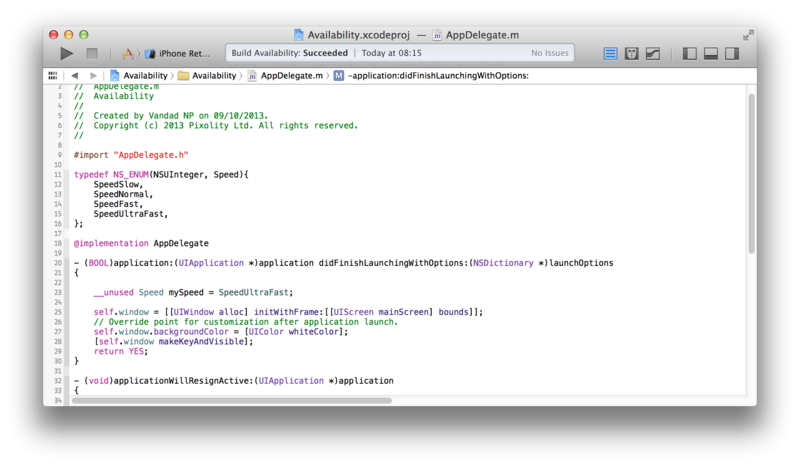 introduced: this will be the version of the operating system (iOS, Mac OS X) where the API was introduced first. obsoleted: the version of the operating system where the API is completely removed and is no longer supported. 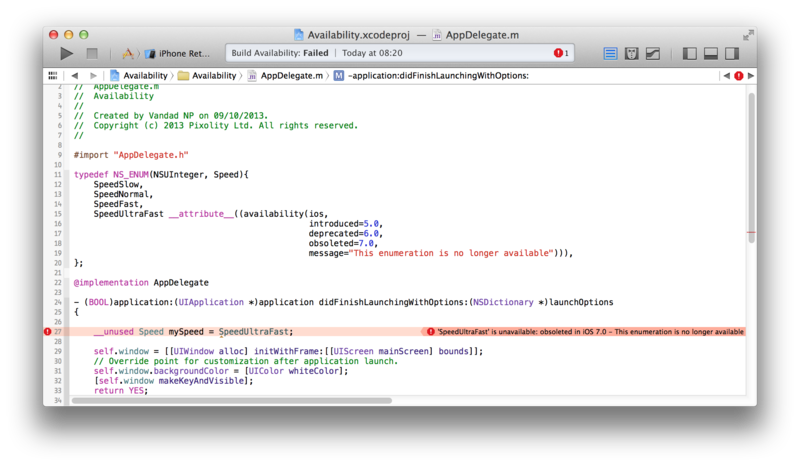 message: the message to display to the programmer in Xcode. 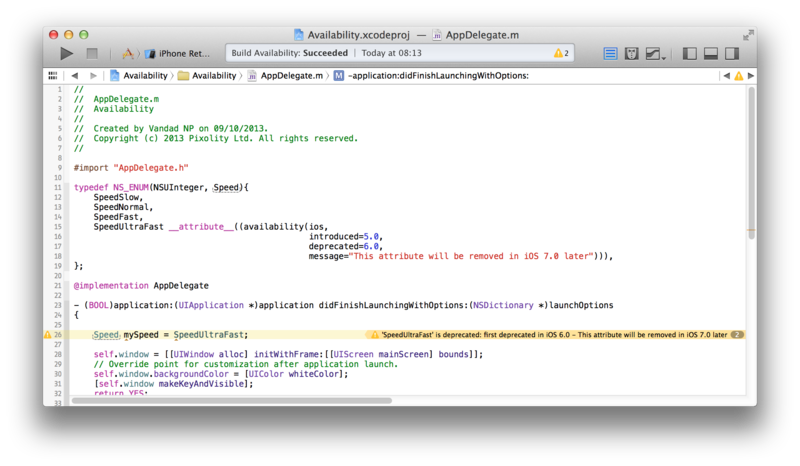 As you can see, right in front of the availability attribute, we can write “ios” or “macosx” to denote if an API is (un)available for iOS or Mac OS X respectively.